Dilaudid (hydromorphone hydrochloride) is a full opioid agonist that operates similarly to heroin and morphine, but it is many times more potent than those drugs. All opiate drugs readily attach to the receptor sites in the brain that are specialized for neurotransmitters, such as endorphins, that are naturally involved in the control of pain, exertion, and stress. Opiate drugs are primarily designed to treat postoperative pain and pain associated with injury or some other chronic condition. Dilaudid is most often used for postoperative pain because it has a quick onset of action and a rather short half-life. Thus, it works quickly and does not remain in the system very long. Dilaudid can be given in a tablet form, taken orally in a liquid form, and administered via intravenous injection following surgery. The drug’s very powerful effects and potential for physical dependence in those who use it for lengthy periods of time have resulted in its classification by the DEA as a Schedule II controlled substance. This puts it in a classification along with other very potent drugs like morphine and cocaine. According to the Substance Abuse and Mental Health Services Administration (SAMHSA), of the many individuals who report misusing or abusing prescription central nervous system depressants, only a very small proportion (about 261,000) reported misusing or abusing products that contain hydromorphone, the active opiate substance in Dilaudid. Nonetheless, use of the drug has serious potential consequences. Due to its potency, the drug has been approved for use in lethal injections in federal executions. Thus, anyone abusing hydrocodone products is abusing a seriously dangerous substance. The syndrome of physical dependence consists of both the symptoms of tolerance and withdrawal. One of the most common uses of Dilaudid is for the control of postoperative pain. These cases commonly only require Dilaudid injections for a short time, and patients are very unlikely to develop physical dependence on the drug. Individuals are typically prescribed some other pain-relieving medication upon discharge from the hospital. Therefore, individuals who are receiving the drug for medicinal reasons often do not use it frequently enough to develop the symptoms of physical dependence. Thus, in medical practice, the development of physical dependence on Dilaudid is most likely relatively infrequent due to the acute uses of the drug. In some cases, the drug may be prescribed for longer use. Those who use the drug under the supervision of a physician, and according to the instructions on their prescription, who develop physical dependence on it would not be considered for a diagnosis of a substance use disorder. However, because the drug is most often used for the acute control of pain, it can be hypothesized that a good proportion of individuals who display physical dependence on Dilaudid have most likely been abusing the drug. Thus, many individuals who develop tolerance and withdrawal symptoms as a result of use of Dilaudid would be suspected of having an opiate use disorder.Because the withdrawal symptoms that occur as a result of physical dependence on opiates like Dilaudid can be very discomforting, once an individual has developed physical dependence, the withdrawal symptoms become motivating factors for them to continue their drug abuse. When an individual begins to experience the onset of withdrawal symptoms, the easiest way for them to control the symptoms is simply to take more of the drug. This situation results in a downward spiral of continued drug abuse, short periods of abstinence followed by the onset of withdrawal symptoms, and continued use to avoid the full-blown withdrawal syndrome. The process of repeating a behavior to avoid undesirable consequences is referred to as negative reinforcement, and it is a very powerful mechanism that can prolong substance abuse issues. injected or snorted typically produce more severe and longer withdrawal symptoms), individual differences in metabolism, and numerous other factors. Because of the drug’s relatively brief half-life, individuals with severe opiate use disorders as a result of abusing Dilaudid may begin to experience mild nausea, restlessness, irritability, anxiety, fever, sweating, and cravings for the drug within 4-8 hours after they have discontinued use. Withdrawal symptoms will continue to intensify. For most individuals, they will peak within 12-48 hours, although many cases may still have seriously distressing symptoms for up to three days. The primary symptoms are nausea, vomiting, diarrhea, profuse sweating, fever, chills, headaches, muscle spasms, aches and pains, insomnia, decreased appetite, anxiety, depression, and severe cravings to use the drug. Some individuals may become extremely confused, depressed, and suicidal. When the symptoms are at their peak, individuals are prone to relapse and making poor decisions. Individuals may display numerous cognitive issues as a result of their physical symptoms, such as issues with attention, problem-solving, and memory. The symptoms will begin to become less intense after 48-72 hours, and individuals may find that they become more focused on trying to get through the withdrawal syndrome. Nonetheless, they may still have issues with nausea, anxiety, irritability, appetite loss, depression, and cravings. In most cases, the withdrawal syndrome will be resolved within 5-7 days after they have discontinued the drug. However, many people continue to experience emotional issues for weeks and even months. These issues include anxiety, depression, apathy, just feeling down, and having intermittent cravings, especially when one is exposed to reminders of one’s drug use or to stressful situations. Relapse potential during the withdrawal process is high during all stages, and it is particularly high as the withdrawal symptoms become more intense. Unfortunately, most individuals who have abused drugs must deal with a number of “triggers” that elicit cravings for the drug. Triggers to engage in drug use can consist of virtually any situation, including stressful situations, meeting old friends, having memories, feeling tired or hungry, etc. Many times, individuals who relapse get the feeling that the relapse just “came out of nowhere” because they have not been able to define all of the potential situations that may spark use of drugs or alcohol. Understanding one’s personal triggers and how substance use fits one’s personal needs is extremely important in avoiding issues with relapse. Even though the withdrawal symptoms from opioid drugs like Dilaudid are not generally considered to be potentially fatal or even serious physical consequences, there are several issues that can occur during withdrawal that can result in serious ramifications. For example, an individual who is vomiting or has significant diarrhea may become dehydrated, and this can be a serious condition. 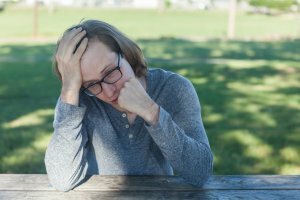 Individuals who become extremely emotionally distraught during the withdrawal process are at risk for poor decision-making and may overdose during a relapse attempt, or they may be involved in accidents or be the victims of crimes. Individuals who become extremely distraught during withdrawal could also become suicidal. The term withdrawal management is the preferred term to describe an organized process utilized by medical personnel to assist an individual in going through the withdrawal process from any substance of abuse. A physician-assisted withdrawal management program is the recommended method to address any withdrawal syndrome. During this process, individuals who have developed opiate use disorders are often administered an opioid replacement medication by an addiction medicine physician. Medications like methadone or Suboxone (buprenorphine and naloxone) are often preferred. The addiction medicine physician will establish an initial dosage of the drug that is sufficient to result in the recovering individual not experiencing any significant withdrawal symptoms. Over time, the physician will slowly taper the dosage of the drug and allow the individual to wean off it at a pace where they will not experience any significant withdrawal symptoms. During withdrawal, if there are complications or other symptoms that surface, the physician can address them with other medicines or interventions. This includes addressing any co-occurring mental health disorders or medical conditions that also need treatment. The withdrawal management process often lasts significantly longer than cold-turkey withdrawal; however, the potential for relapse and serious complications is drastically reduced. Eventually, the opioid replacement medication can be totally discontinued. Whether one chooses to withdraw from Dilaudid without assistance or to become involved in a physician-assisted withdrawal management program, simply going through the process of withdrawal is not a sufficient approach to recovery. Individuals who do not become involved in some form of long-term treatment program will relapse at rates that approach 100 percent even if they successfully complete the withdrawal process without relapsing.